Hey there Mahranis! We hope you are having a fab day and I am so excited that you have joined us! Looking for some major bridal inspiration? 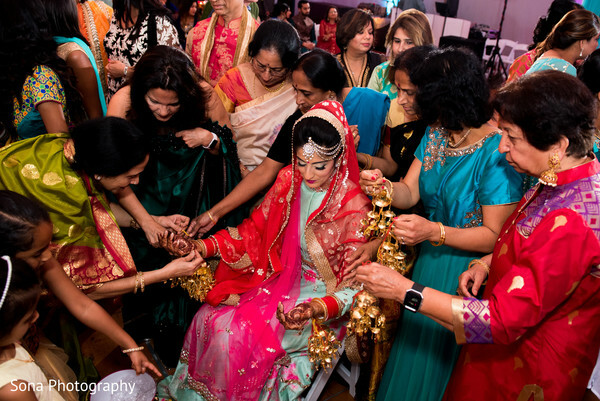 We got you covered; Nita and Jaimin’s multifaceted Indian wedding is definitely one for the books! 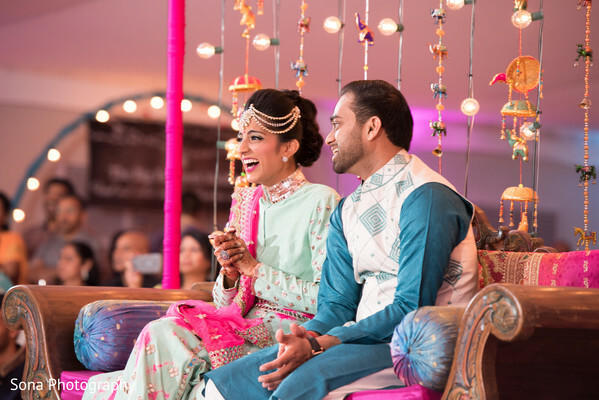 It all starts with securing the most ideal wedding planner and Eventrics Weddings stepped up to the plate to ensure that the series of events flowed seamlessly. 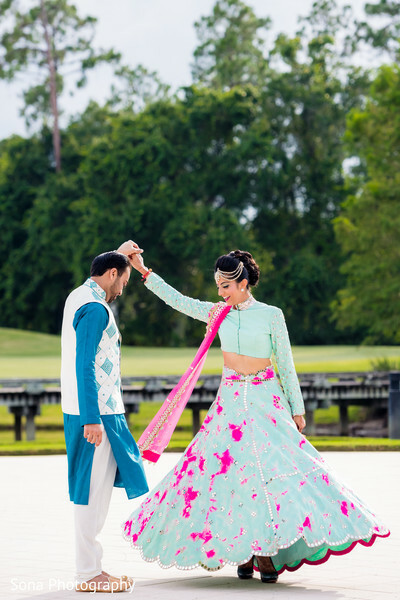 The pre festivities began at the Central Park Pavilion Park Waldorf Astoria Orlando for the sangeet ceremony in a gorgeous ballroom designed and decorated by the amazing Occasions by Shangri-la. 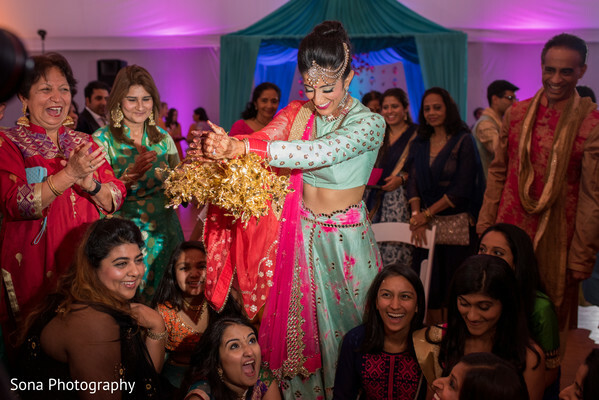 Nita explored her creative side in a sherbert hued lengha that just jumps off our screens! Per usual Michele Renee The Studio worker her beauty magic and left us with one smoking bride! 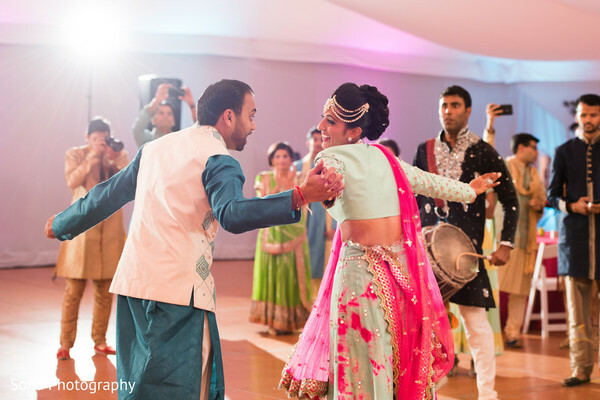 We love all the details, especially those with at the lovely moments with family. 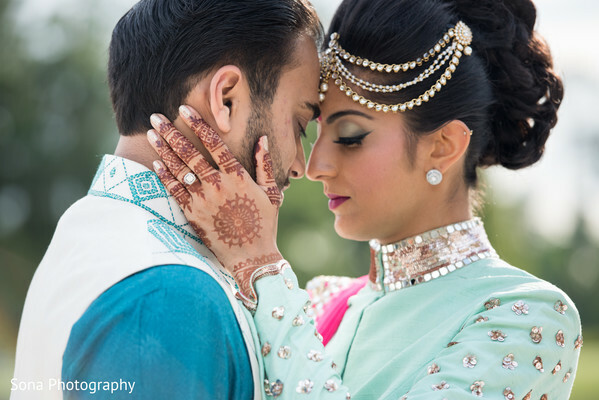 Get lost in all the love in our curated gallery captured by Mona Choudhry of Sona Photography. We have the wedding coming right up! 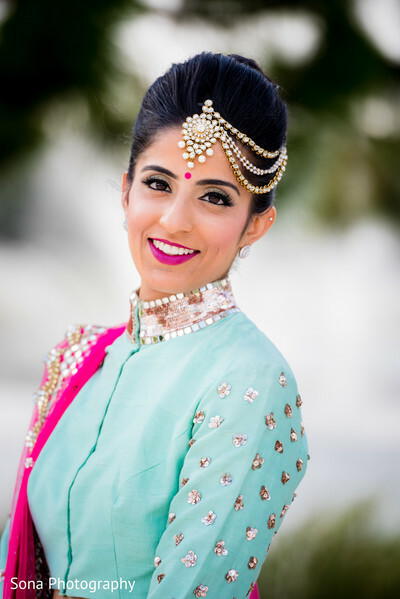 Occasions by Shangri-la, Eventrics Weddings, Sona Photography and Michele Renee The Studio are members of the Platinum Guide. Love what you see? Explore their portfolios.